Easter Sunday, April 24, 2011, was exactly 34 years since I came back home to the Lord. As a teenager in Jamaica, I had first committed my life to Jesus Christ in 1961, and later attended seminary to study for the ministry. After graduation, I married my high school sweetheart and served as a pastor of a circuit of churches before immigrating to New York with my wife and baby daughter in 1969. But my marriage ended in divorce, and with our denomination unwilling to employ me as a divorced pastor, I found myself adrift in New York City far from the anchors of family, friends, and home church that I had left behind in Jamaica. As a new single man in New York, and feeling rejected by church leaders, I found a new career and growing recognition in the publishing field—and the sudden availability of women. After being sheltered in the church during my teens and my twenties, I soon succumbed to the allure of New York City’s swinging singles culture and promiscuous lifestyle. This continued for several years, even when I moved to Los Angeles to study and work in the film industry. During all this time I stopped going to church and my attitude towards God was one of aloofness in which I gave God the cold shoulder. And I nursed a lingering hurt and resentment towards the leaders of my former denomination. Despite this, I found myself attending Easter service for the first time at Bel Air Presbyterian Church in 1977. The small chapel was packed with worshipers, choir, and musicians, and from the very start of the service I felt that something was different. I don’t recall much of what the minister, Dr. Donn Moomaw, preached about, but I remember that soon after I took my seat I became aware of God’s powerful presence, love, and joy in that room. In particular, I felt God’s love for me, and I had an overwhelming sense of his forgiveness for my cold attitude and rejection of him, my anger and resentment towards the church leaders, my promiscuity, and my attempts to seek and embrace the sinful allures of society. There was no feeling of condemnation from him, just his welcoming presence and invitation to come back home. And that’s when my tears began to flow freely throughout the service and my hard heart and emotions softened and melted. I remembered the solemn Good Fridays in Jamaica, the holiest day of the year, when all commerce ceased on the island and many Christians contemplated the Stations of the Cross as we journeyed meditatively along the Via Delorosa, the Way of Sorrows, the route that Jesus took from his condemnation before Pilate to his crucifixion on the cross and his burial in a borrowed tomb. And with that remembrance, I suddenly felt the weight and guilt of my sins and backsliding, and sensed the Lord reminding me of how much he loved me enough to have suffered and died for my sins. I left the chapel that morning, clutching one of the Easter lilies that ushers had given out, and I returned to my apartment in Westwood. That afternoon, I called my friends and lovers and told them of my recommitment to following Jesus Christ and that my life had changed. Much has changed in the intervening years. I remarried, and now have three grown children and four grandchildren, and have served God through a variety of careers. I continue to worship at Bel Air Presbyterian Church, which outgrew its small chapel and is now housed in a large sanctuary that serves several thousand members and visitors each week. 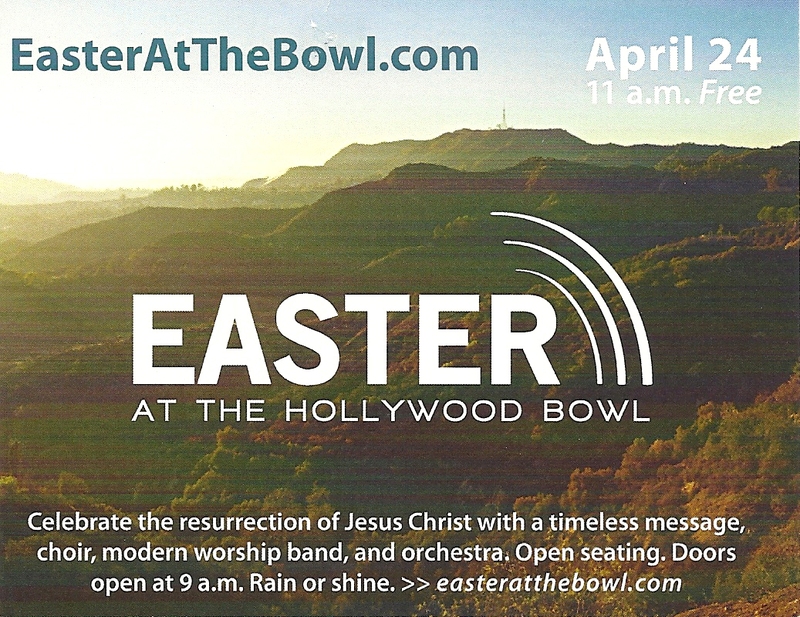 In fact, we have grown so much that for the past few years we have been celebrating Easter in the Hollywood Bowl where approximately seven to nine thousand people join us in worship. 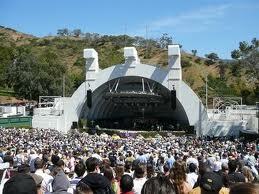 So, it was with a grateful heart that over the past few days, this former prodigal son joined Christian brothers and sisters during Holy Week and participated in celebrating Palm Sunday, Maundy Thursday, and Good Friday in our sanctuary, then went over to the Hollywood Bowl where we raised our voices in praise to our Risen Christ. It is my prayer and expectation that many other prodigals—sons and daughters—found their way home to our heavenly Father at Easter–wherever in the world they were.